As you can see the captured photo above, Jamie Oliver mentioned about Ajumma (he typed as ajoomma). Yes, ajummas are strong and at the same time lovely women. I’m so glad to read his comment about ajumma. They are part of our culture, I think. 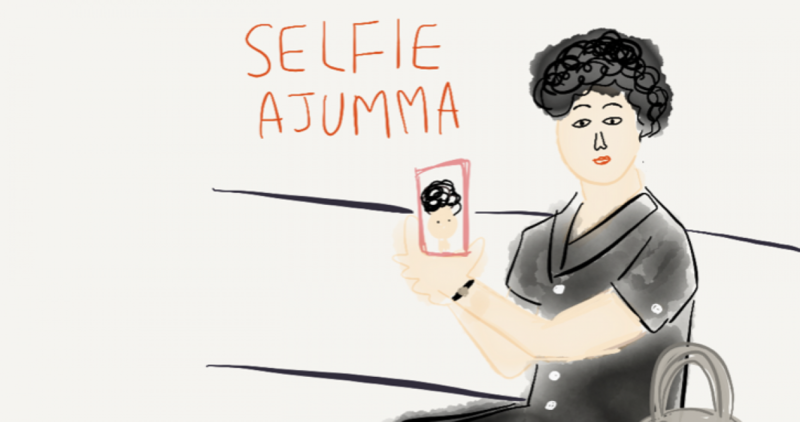 Posted on 27 Apr 2016 by moon ajummaPosted in 스마트 아줌마 (한국어), Smart Ajumma (English)Tagged ajoomma, ajumma, 아줌마, 아줌마 화이팅, 한국, 한국여성, Korean culture, Korean women. Previous Previous post: 아줌마, 하우머치 이즈잇 (how much is it)?